If you have visited my website at all, you've seen an icon with a phone and the G for Google, but may not have known what it is. I'm not surprised, as I've discovered several people who haven't yet heard of Google Voice. What it is, is a calling widget. Yes, you heard me right... It CALLS from the widget! I've been using Google Voice for a few months now, and I'm really very excited about it. Unfortunately, at the moment I'm sharing a Voice number with my family, so I have to be very careful about how it is set up, to keep you from hearing some random, weird answer or voicemail message. I'm only sharing this with you so you can understand how amazing it really is. Within the one account, I can set up groups of people. Each group is set up in a different way. In one group, I have family, who are forwarded to my cell phone, my husband's cell phone, and our house phone. Then I have my friends, who go to my cell phone and the house phone. Then my husband's friends, who go to his cell phone and the house phone. Anyone who calls who isn't on any contact list automatically goes to my cell phone and the house phone, because we're operating under the theory that if they aren't on the list, it's a business call. Now, here's the issue: because I am using this number for my business, I don't want a unprofessional voicemail message, right? But family and friends would be confused if they call in and get a business line. So what do I do? Oh, wait... Google created a solution for these issues! There is the option to create personalized voicemails. I can add several, and apply them to groups. Now, if you wanted only one person to hear a voicemail (such as your significant other or boss), you could simply make them the only person in the group. In my case, I have five different voicemails: One for those contacting both my husband and I, one that is JUST for him, one JUST for me, one for our roommate, and one for the business. I can then choose which one will play if a caller is not in my contact list or in a personalized group. I selected the business to be the default, since most of my personal callers would already be in my contact list. I then was able to set it to send me text messages and emails, so that if for some reason I did miss a phone call (if my phone is dead or set to silent, perhaps), I get a notification some other way. I also can go to my google voice account to view activity... But I chose a better fix. I use Firefox, so I added an add-on that allows me to put my Google Voice account right in my status bar! Another cool feature is that you can call the phone number from any phone and have access to Google 411, which is also free. 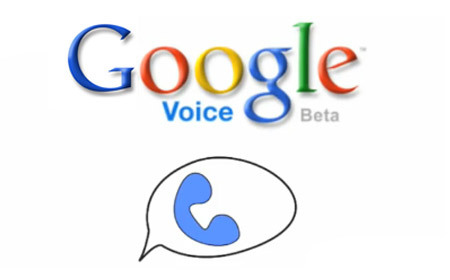 Now, at this time, you cannot use Google Voice to replace a landline or cell phone... But they're looking into it. I finally got my second account, which will be used for business. I decided to use the former number for personal calls. Google has something in the works for people to be able to share a LIMITED number of invites (I think 3 per person)... I think if you have a gmail account you get one automatically, because every one of my gmail accounts got a gmail invite. Google will not allow multiple accounts to share a single number, so I'm going to have to revert back to the first account until they resolve this issue. I don't want to lose business because I don't get my messages!